Edi E. was an honest security guard that was corrupted by the Mad Gear Gang. With the promise of large sums of money that his former job could never have given him, Edi E. became an enforcer for the gang. 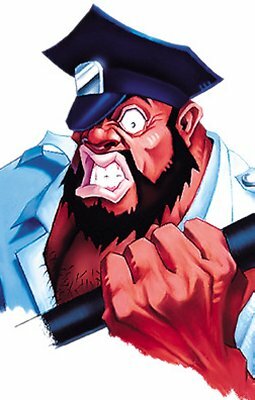 Using his billy club and gun, he controlled the West side of Metro City until he was defeated by Mike Haggar, Cody, and Guy. The Mad Gear was disbanded shortly thereafter, and Edi E. was forced to once again make an honest living.